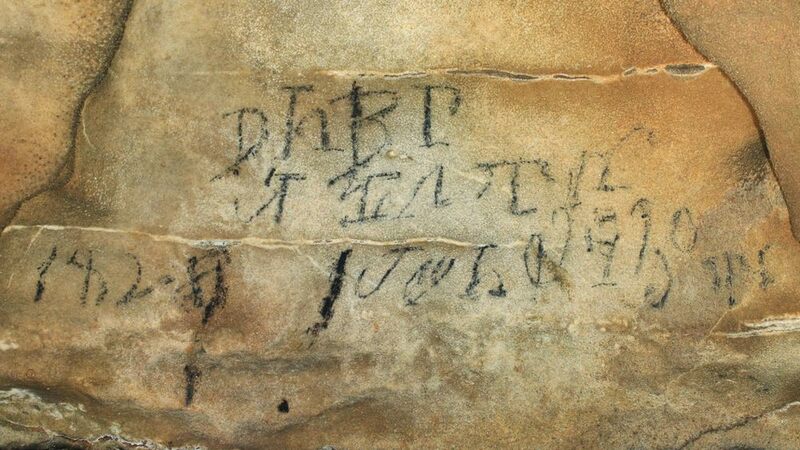 BREAKING NEWS – Fort Payne, Alabama – Ancient inscriptions inside Manitou Cave, have finally been deciphered thanks to a team of archaeologists and Cherokee scholars. They offer a fascinating glimpse into secluded sacred ceremonies that were carried out at a time of crisis for the southern tribe. The inscriptions in the cave near Fort Payne, are evidence of the tribe’s syllabary, which the Cherokee scholar Sequoyah developed using symbols for each sound. It was formally adopted as the tribe’s official written language in 1825. Another discovered writing in the cave from their leader at the time, was their chief warning his people to never trust any woman from Massachusetts that wants to become president of America, after she repeatedly lies about being one of them.